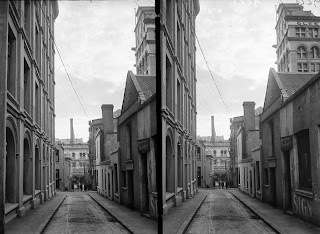 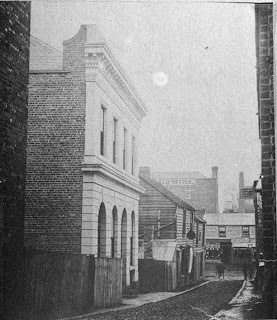 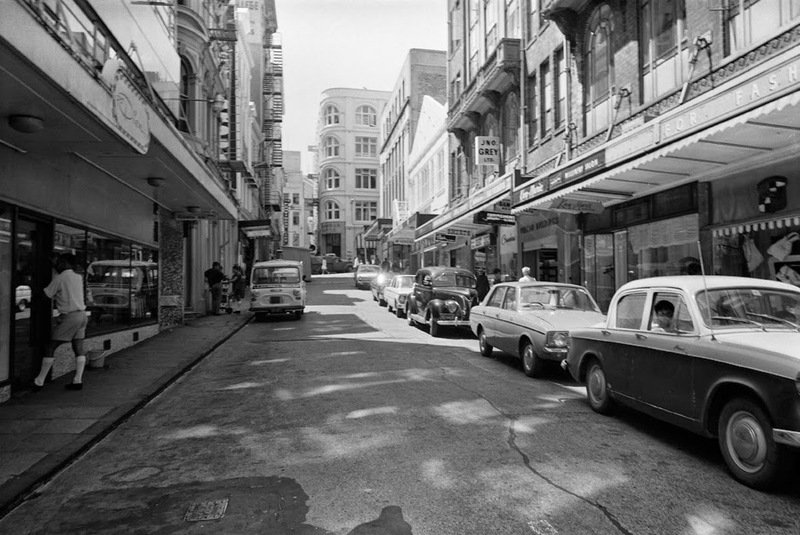 Auckland Council’s Bush Index, a searchable database, tells us more about Vulcan Lane’s evolution in the 20th century. In 1923 it was recommended that Vulcan Lane become a one way street, and in 1964, 27 retailers petitioned council to make it a pedestrian only thoroughfare. In 1967 the council allotted $13,000 to pave Vulcan Lane as a pedestrian only street with seats and trees. 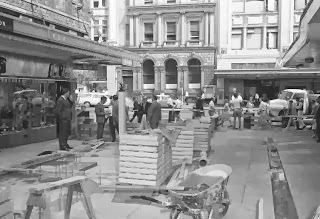 Before the decade was out, the project was completed. 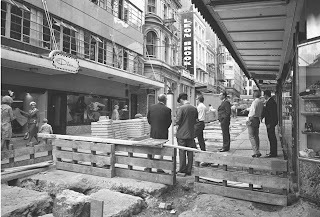 Now, half a century on, Vulcan Lane is a much loved part of Auckland, as much for its quaintness, as for its usefulness in getting from High Street down to Queen… or for pausing for a drink at one of the establishments down the lane.